Maybe I should qualify that a little more. I don’t mean I can tight rope…not yet anyway. As you probably already know I don’t push ‘healthy’, nope I pedal balance the ‘get stuck in’ approach….if you want healthy then check out The Little Green Spoon, this chick will have you skinny before you can say “hey does my bum look big in this”? (). 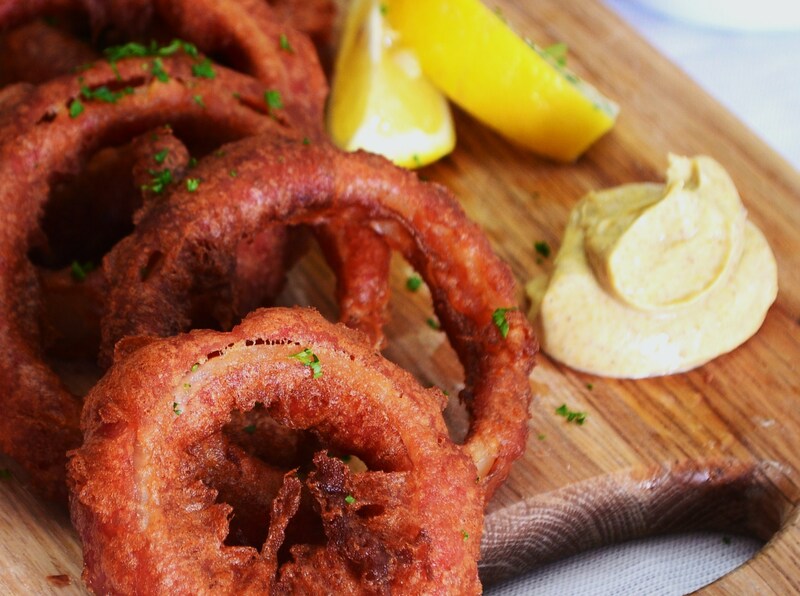 So that being said, if you have been very good and spent the afternoon at the MMA gym breaking heads then knock yourself out with these Flaming Onion rings with lemon and Spiced mayo. 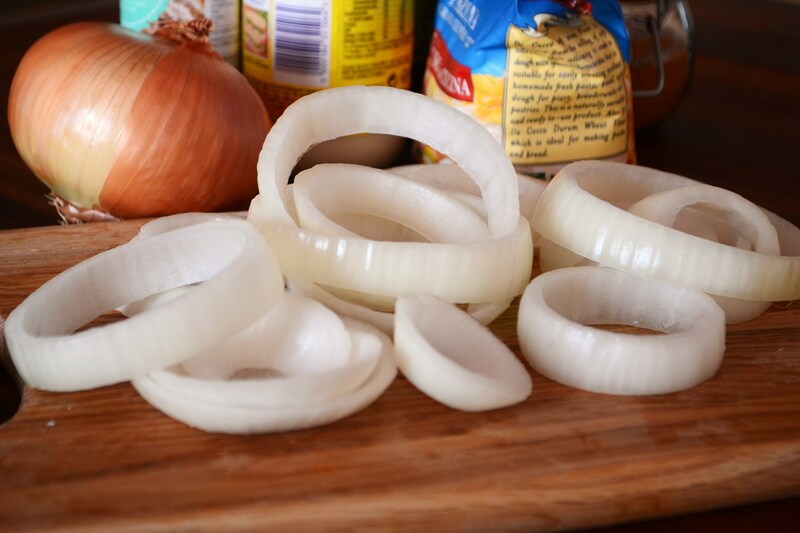 Peel the onions and slice into medium thick rings, push out the large and medium ones and leave the smaller rings for something else – sauces etc. 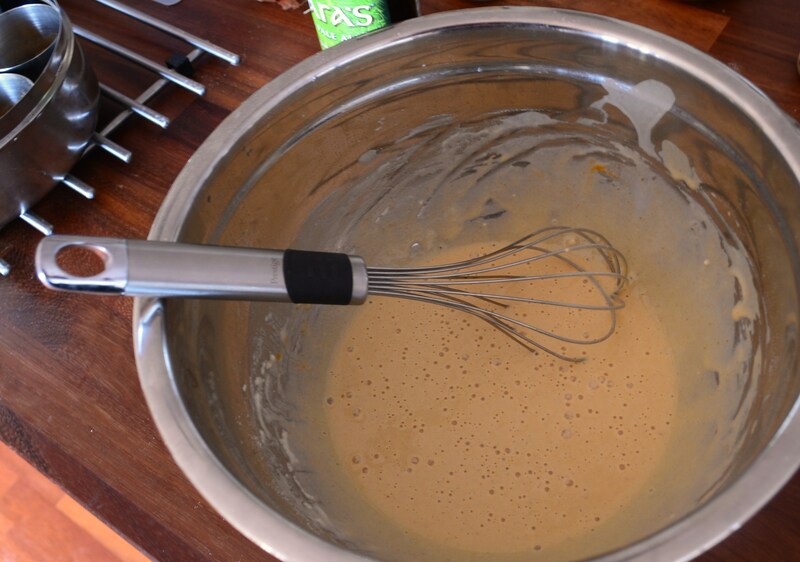 Dump the rings into the batter and coat well – they can sit in the fridge until you need them, just give them a re-dunk if needed. 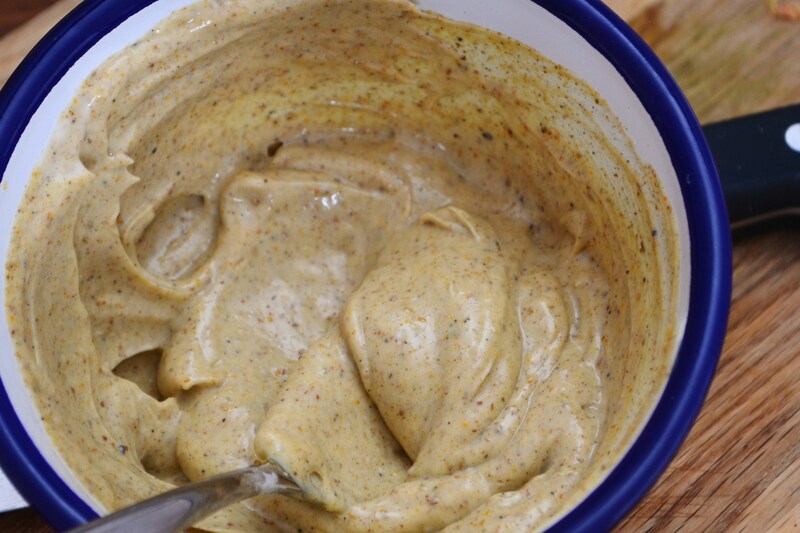 Next get the mayo dip together, combine the mayo, chili powder and paprika and a squeeze-ette of lemon juice. Season to taste and adjust as you need. 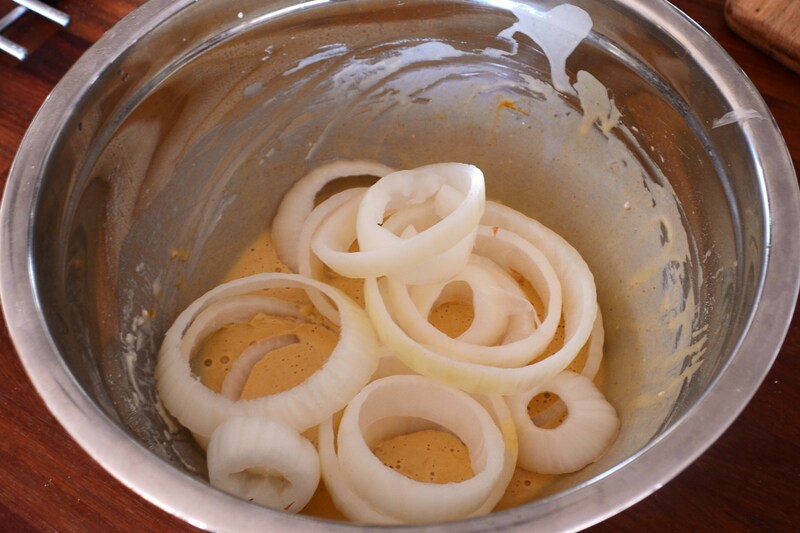 Get a deep wok or deep fryer on and bring the oil up to about 180c – drop the coated rings in 2-3 at a time and fry until golden. Drain and keep warm. Oh yeah, I’d swing with you on these! 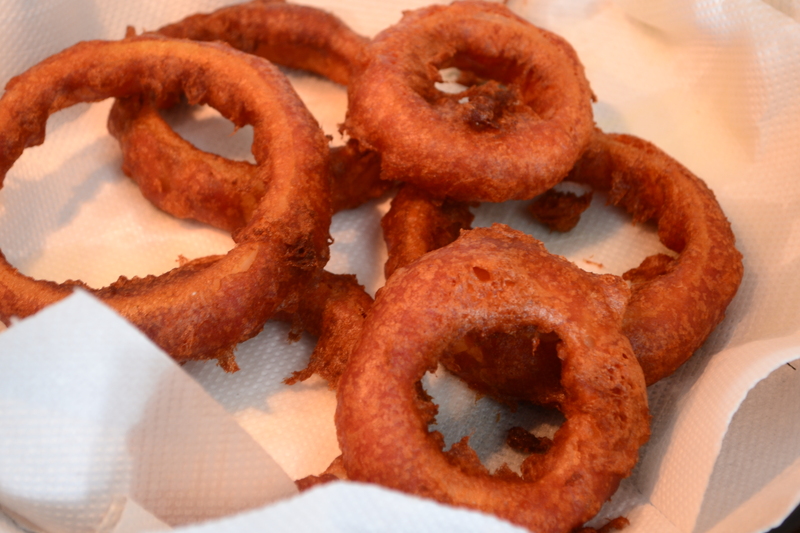 Awesome onion rings. Love the name. Love the rings. Cheers fella! It’s odd how my head works some times! oh I want these now! Thanks fella! Yeah the spice really makes these bad boys pop!! !